When I volunteered at Stanford Hospital, one of my responsibilities was not only to ensure the swift transfer of information between the medical staff and the family members of surgery patients but I also did my best to make sure that the latter were as comfortable as possible in light of the unfortunate circumstances that brought them to my department in the first place. During one of my shifts an elderly gentleman refused to take a seat while he waited for his wife to be transferred to her room from the recovery area. Instead, he chose to stand directly in front of the giant double doors that separated the General Surgery area from the Waiting Area (the wait would last a few hours). He had flowers in his hands. He said to me, “I want to be the first person she sees when they wheel her out of recovery.” I will never forget that man. When my grandfather suffered a brain aneurysm over thirty years ago, my family was forced to face uncertainty regarding the fate of a much-loved man. Many prayers were said both quietly and aloud, together. One morning, as I was walking by the kitchen I saw my youngest sister (who couldn’t have been more than three or four years old at the time) clutching mini rosary beads in her hand. In her toddler-voice, I heard her call out to God, asking Him to please “make our grandfather better”. I am convinced that her plea, along with everyone else’s, secured my grandfather’s complete recovery. Each time my husband and I get ready for a bike ride I always arrive at our driveway with my bike perfectly tuned up and with air in my tires. While we’re driving in the car sometimes, my husband will reach out to hold my hand. Just because. On beach vacations, my husband will sometimes take my hand while we’re snorkeling and marveling at life underwater. I’m perfectly capable of swimming in the ocean on my own. When I took a professional exam a few years ago, I took longer to complete the exam than I had indicated to my husband. By the time I exited the testing center, I had several messages from him anxious to know the results. He wanted to be the first to hear how I fared just as much as I wanted him to be the first to know I passed. When I had a cancer scare a few years ago and had to have a biopsy, my husband held my hand the entire time I waited to be admitted at the hospital. His face was also the first I saw when I returned to the waiting room after the procedure. When I was but one year old, I suffered a very high fever that caused me to start having convulsions and my eyes to start rolling back behind my head. My young mother, shocked and extremely frightened for her firstborn, without a second thought, did the most expedient thing she could do. She ran barefoot with me in her arms (not even thinking to put on shoes; and this was during a time when a call for ambulance service would not necessarily have guaranteed a swift EMT response) next door to my uncle’s home (which was the equivalent distance of roughly a city block) who was a doctor (he was older and arthritic and in hindsight, would not have been as quick to rush to my mother’s aid had he gone to her instead). My mother would not breathe I sigh of relief until the following day when, at the hospital, my color finally returned to normal and the doctors said I would be okay. Each time I visit church I take with me my flaws, my mistakes, my shortcomings, my inadequacies, my failures. I leave renewed, feeling that I can embrace who I am and that I’m loved just the way I am. I purchased these silicone molds with the intention of using them to enter the POM Wonderful Cupcake contest. Then I was inspired to use actual cups to make the cupcakes but when the time came, I was full of love memories, so I made these little treats instead. In the spirit of all the ways we see, feel, receive and express love not only on Valentine’s Day but everyday, I share with you these mini chocolate cups. I liken each one to our hearts which we fill with all the things we love. There are many ways to fill these cups just as there are countless ways we fill our hearts with love. I focused on mostly frozen treats for this experiment and I was very pleased with the results. The possibilities are endless, really. I used semi-sweet chocolate chips for the dark cups and white chocolate (Godiva White Chocolate Vanilla Bean is turning me into a white chocolate fan) for the lighter two. I added a bit of red food coloring to achieve the reddish hue. A little bit of chill time in the refrigerator and they were ready to fill. These would be a fun activity with your children. Silicone cups and teaspoons are all you really need. Just melt the chocolate in a bowl. I highly recommend heating the chocolate just until it starts to melt then simply stirring until all the hard pieces have completely melted. There should be enough residual heat to do this. I’ve discovered that If the chocolate is too hot, it will be too runny and will not adhere to the sides of the mold. I found that the back of a spoon was a more effective way of applying the chocolate to the sides of the mold than a mini spatula. Fill with your favorite ice cream flavors (they’re like open-faced Bon Bons) or just fruit and whipped cream. I even made my very own peanut butter cups and I have to say they would rival the Reese’s cups I like so much. Just note that I used Adam’s Organic Peanut Butter. I usually pour out the excess peanut oil that settles at the top of the jar so this may have contributed to the less runny filling that you see here. Otherwise, just fill the chilled cup with peanut butter (and how about Nutella sharing the limelight next time), top with more melted chocolate and chill in the fridge for about an hour. May your cups overflow with love this Valentine’s Day! By the way, my $50 CSN giveaway ends tomorrow night. Check it out here and enter for a chance to win. The giveaway is closed–thanks for participating! * Note I used the mini-sized silicone molds but paper cupcake liners should work just fine, too. For toppings: I used Chocolate shell, almonds and fruit. Whipped cream would work, too. Melt the chocolate in the microwave. Again, be sure not to overheat it. The cooler the chocolate is, the more easily it will adhere to the mold. Place a small amount of the melted chocolate into the mold and spread to cover the bottom. Then take another small amount and use the back of a teaspoon to spread along the sides of the mold. Be generous with the chocolate. You don’t want a thin layer; this will make the chocolate crack and break when you try to peel off the mold. If you decide to make colored cups, add a couple of drops of food coloring to the white chocolate and stir well. I placed each filled mold in the fridge as I finished applying the chocolate. I didn’t want the chocolate to settle to the bottom of the cup. Chill for at least an hour. Unmold the cups by peeling of one side of the silicone carefully. Fill with your favorite toppings. I’ve shared just a few here for inspiration. i enjoyed reading this post and feel delighted for you that you are blessed with a loving husband. I love these treats, especially because they are bite-size and versatile. Happy Valentine’s day! What a lovely read. You’ve certainly made us realise just how much it means having those close to you in times of need and how we can take them for granted at times. Your chocolate cups are definitely a memory-maker for children and something they will always love. What beautifu seniments, you put everything so lovely. Happy Valentines day. You are lucky that you have such a good man, I do also and are very thankful. These look perfect! 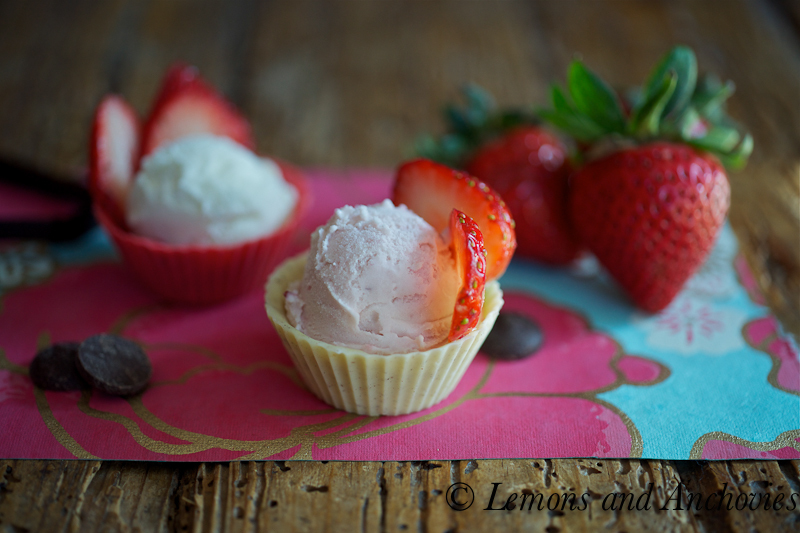 What a great idea for mini ice cream desserts. Lovely post and fun idea! What a wonderfully written post! Every tiny gesture, word, touch, and glance can mean so much when we need them. You touched me with your vignettes and I thank you for it. 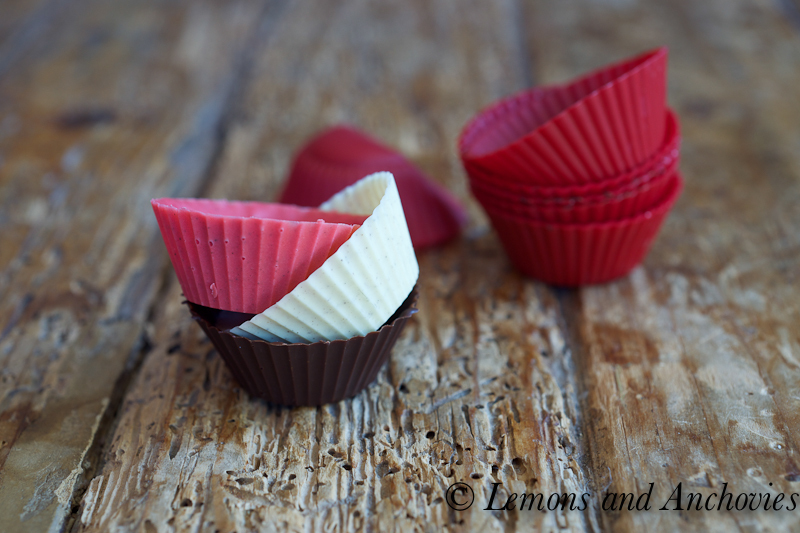 Your mini chocolate cups are adorable and I love the versatility. Jean, you brought tears to my eyes. I loved this post – those moments, those actions, those words should be cherished every day! And I love the chocolate cups, my kids would adore these! What a lovely and thoughtful post, Jean. I ran across mini-silicon cups a few weeks ago and considered buying them but passed, thinking I likely wouldn’t have time to make use of them. I’m inspired now to go back. My husband and step-daughter would love these mini sundaes and possibly the peanut butter cups even more! I know I’ll love both. Have a great rest of your weekend. Judy, I didn’t think I’d need them either since I have a mini pan already but the silicone molds worked well for these little cups. I found mine at World Market and they were under $3 for a dozen. Bargain! I have to say that I loved the peanut butter cups, too. They were so easy! I hope you’re having a great week! This is a beautiful post. important to remind us of what is important! Jean, what a beautiful post!! My grandmother actually graduated from Stanford in Nursing some 60 years ago and had some similar stories to your beautiful stories that you shared today. We love these cups!! I made some for New Years and filled them with an orange mousse, Liv is actually making them as I type, she uses a little paint brush that we took out of our Girl Scout bag (we did wash it well!). She spoons the chocolate in and paints it up the side. Yours are a bit more perfect than ours will be, but we will love them all the same. We haven’t figured out our filling yet, but I’m thinking either the Orange Mousse again, or I have a new Coffee flavored ganache… we will have to see where the mood takes us. Liv says she likes you idea of ice cream or a frozen dessert! Small world, Kim. Working at the hospital has a way of putting things in perspective, for sure. Did I miss your post on the cups? Mousse and ganache are perfect for these. I considered using one of my art brushes, too, but the spoon worked fine, but I wouldn’t have hesitated to do the same thing, LOL! I wanted to see your mini creations that always look so appealing and the first post that I saw was the one about Day . I will never forget that day !! I was about 3 years old and couldn’t imagine not having that man in my life Now , 30+ years later;almost a year since his passing , I am still heart broken and feeling empty inside without him . He is the most special man to me . Well, since this about Valentine’s and love …just wanted to say , thanks for reminding me that this day is not defined by heart shaped boxes of sweets, hallmark cards, or a fancy dinner BUT for the unconditional love and care given to us by our families and friends (and pets) . Gorgeous post, Jean. I think we sometimes get so caught up in our day-to-day that we forget to take a breath. There is so much wonder and love in the world, if we only take the time to actually see it. That’s what Valentine’s Day should be about. I just love the symbolism of these little chocolate cups. What a brilliant idea! Isabelle, thanks so much. I’m guilty of getting caught up with life’s distractions, too, so I was happy to remember these good things and share them here. Thanks, again!! What beautiful thoughts you’ve shared…you are truly blessed. Love these cups and fillings…fabulous!!! your post really tugged at my heartstrings! and those chocolate cups are just precious. btw i’ve just nominated you for the stylish blogger award on my blog. do stop by and hope you’ll accept! Oh you made me cry with this post! I read it holding my breath. Thanks for sharing this big moments of love from your life with us. Have a happy love day tomorrow and many many more along the year! Jean, this is such a lovely post. Thoughtful and beautiful. And these cups with ice cream are amazing! Fabulous idea! Happy valentines day! These look like a lot of fun to make. I’m pretty sure my son would love making them with me. Plus who doesn’t like peanut butter cups! And.. all the stories about the people in your life made me cry. Jean, this is such a moving and meaningful post, thank you for sharing so much of yourself , and reminding us again what Valentine’s Day is really about. I love when you said “I liken each one to our hearts which we fill with all the things we love. There are many ways to fill these cups just as there are countless ways we fill our hearts with love.” it really is a perfect description! Have a wonderful Valentine’s Day with the ones you love. What a beautiful touching post!! 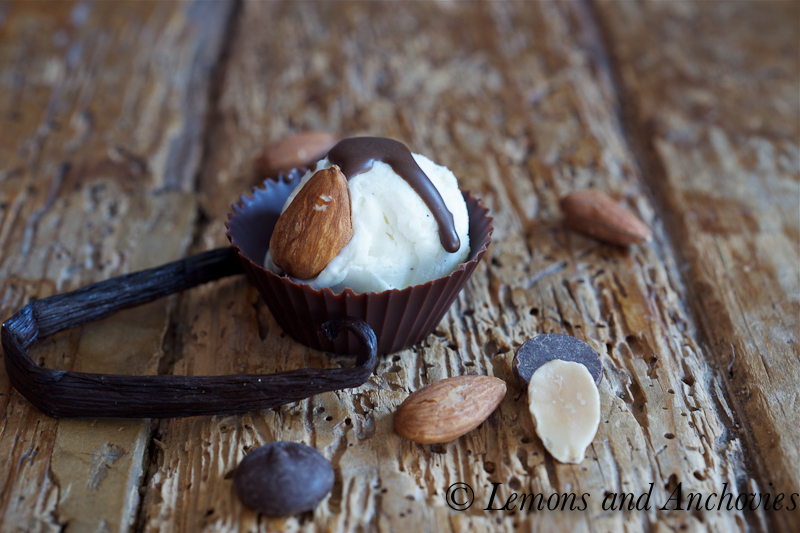 Those homemade chocolate cups are a fabulous treat!! Awesome. Just awesome! I love the idea for these edible cups. So cute! WOW is all I can say – simple, beautiful and with so many uses. Amazing and thank you for sharing! Happy Valentine’s Day! What a sweet post to share. Much more in tune with some of the tenets of Valentine’s Day than some other ideas. Gorgeous sweets too. I love your post and I definitely love those cups – amazing job! Happy Valentine’s Day to you and to those around you! What a fun little cup to serve treats in. What sweet and touching examples of undying love. This post is perfect for Valentines Day, but any other day as well. Your chocolate cups are gorgeous! What a beautiful and touching post! I wish you and hubby the BEST Valentine’s Day! Those chocolate cups look and sound amazing – loved the creative ways you shared! Such lovely stories, thanks for sharing. I love the little cups and mini sundaes too! Your post got me all teary-eyed. The capacity of the human spirit to love is amazing. Love is way beyond saying, “I love you,” or getting a box of chocolates. Thanks so much for this post, it is definitely one I will remember. Thanks so much, Nadia. 🙂 I loved the PB ones, too. I made some more last night! This was very touching. I can relate to this post on many levels. The cups look delicious. Hope you had a great Valentine’s Day! I’m tearing up. What a beautiful, beautiful post. I’ve read quite a few this evening, and I’m so touched by your words. You reminded me of all the joy and beauty in my life…and it is making me thank God for all the many blessings I’ve received. These cups are beautiful, but not nearly as beautiful as your words. Truly…your post is gold. Thank you for sharing with me tonight. Hugs and well wishes from Austin! Happy Valentine’s Day! Congrats on top 9!!! Those so cute and beautiful!!! i love this idea!!! congrats on top 9! Oh Jean what a beautiful post, you really touched me. I feel the same way about my wife, everything we do is better when we do it together. I am happiest when I know she is close by even if we are doing nothing. 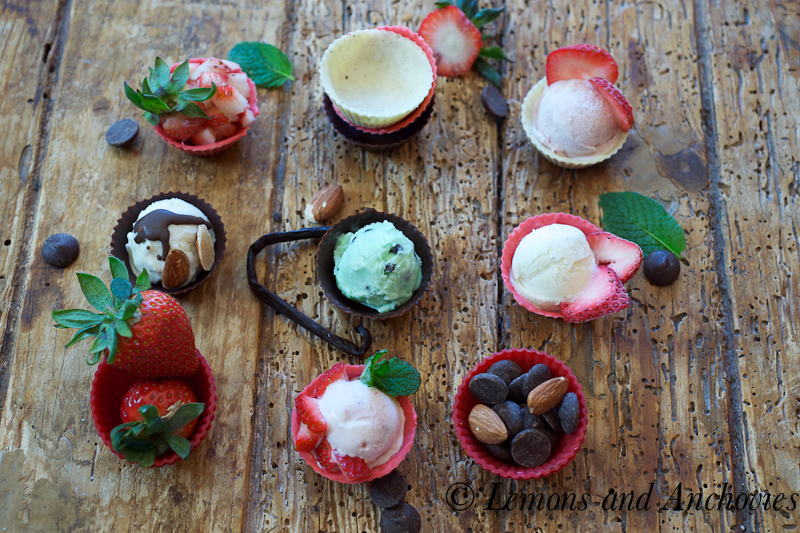 Your chocolate cups are perfect for so many fillings, what a great way to celebrate valentines day! thank you so much for everything you do to enrich our community! Great post! I just featured these on SquashBlossomBabies! Aren’t they delicious! Great minds think alike! Just dropped by your blog. Your chocolate cups are gorgeous! Oh my. Those are some of the coolest chocolate cups I have ever seen … but, of course, my heart always takes me back to the peanut butter cup! great photos. Thanks for posting and congrats on your top 9! Jean, you made me cry… this post is so touching! I was wondering if the pink cups were the silicon ones, or if they were white chocolate + colouring? Hi Tabea, the pink ones are the white chocolate cups. I’m sorry if I didn’t make that clear in the post. I’ll fix. What a beautiful post in every way! I loved reading and wish you lots of love always. What a great post, Jean. It brought tears to my eyes…such beautiful, touching moments of everyday symbols of love that don’t need to be wrapped or purchased. I luv what you did with these silicon cups. I actually purchased some of these cups a couple of weeks ago too, with the same intention – just haven’t gotten around to it. They’re lovely and make a tasty, edible presentation. 😉 Congrats on the Top 9 today! What a sweet post, both your sentiments and the treats. I can’t even begin to tell you how sweet this post is and how the love just radiates off my computer screen in your writing. You have a true gift and it’s inspiring! Have you read One Thousand Gifts by Ann Voskamp? Your post reminds me very much of her idea of being full when it’s so easy to feel empty. I will be following you so excitedly from here on! 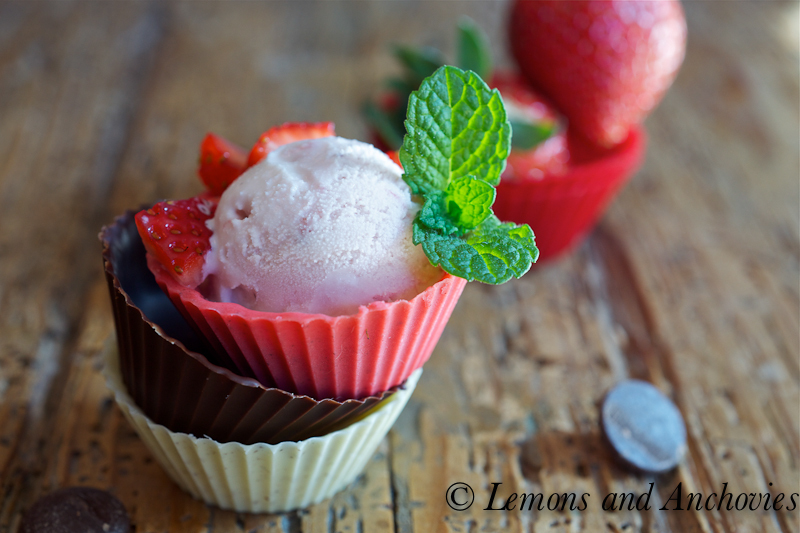 These dessert cups are lovely! But more importantly is your beautiful post on love! Thanks for sharing all of this with us. Congrats on the Top 9. This is a great idea. We invite you to share this post and some of your favorite posts on Food Frenzy. Please check out our community. What a thoughtful and elegant post; words written by a women truly in love. These little cups caught my daughter’s eye as I was reading—looks like we have a cooking project to work on together. 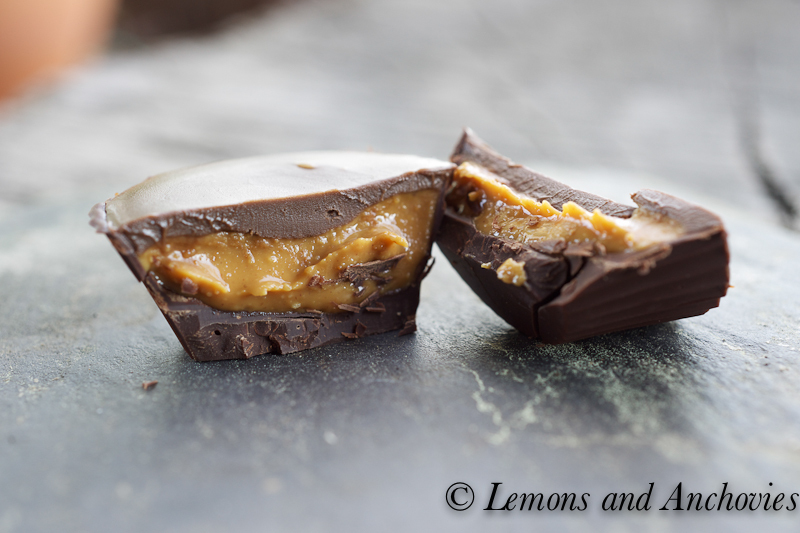 These edible chocolate cups are simply amazing! But what’s more amazing are your stories of love. Re: your grandfather – prayer is a powerful thing. Re: your husband holding your hand just because – I love when my husband does the same. Re: your mother running barefoot to your uncle’s – a mother will do any and everything for her child no matter what the sacrifice. Re: being loved despite your flaws. God is soooo good. Very nicely done post and creative work with chocolate. Congrats on your top 9. Sniff! It’s a good thing there’s chocolate, because this post totally made me cry. That is the most sweetest valentine’s day post that I have read !! I simply love the shots where you mounted those different chocolate cups !! What a wonderful post! Beautiful pictures and inspiring words – – just what I need to get myself on track for a wonderful day, so thank you! 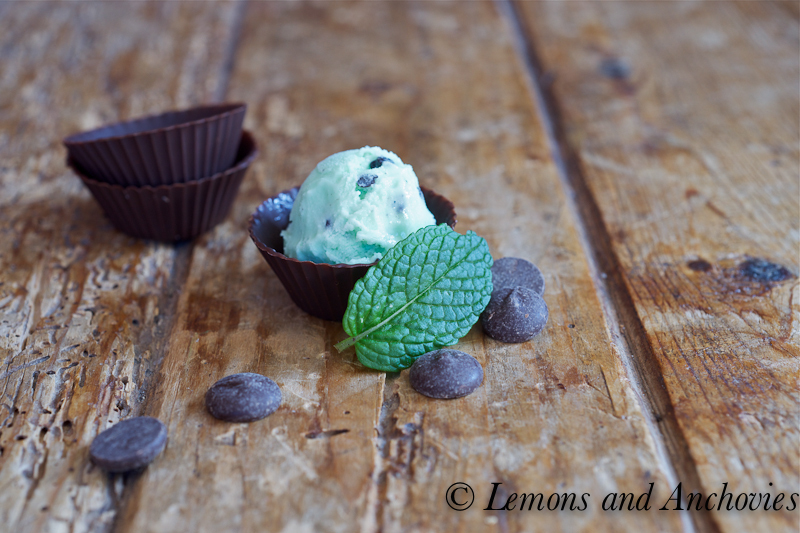 A beautiful inspiring post, and those chocolate cups are just gorgeous, perfect little desserts! What a lovely post. 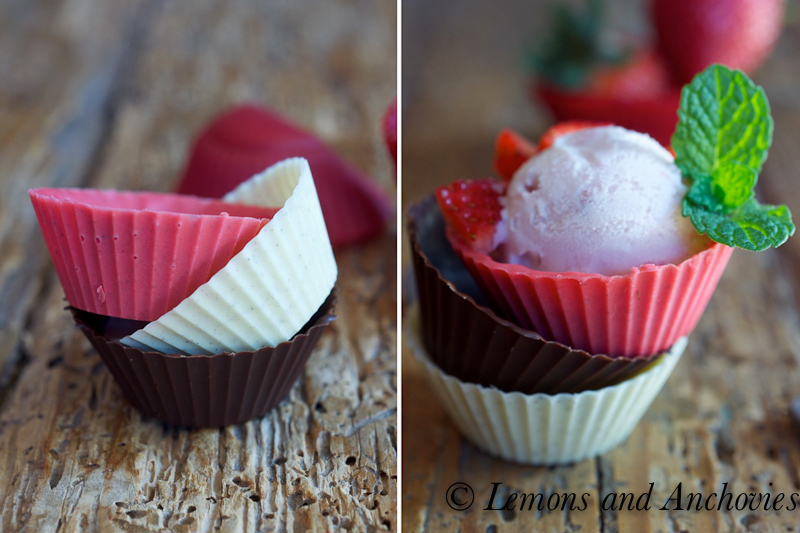 Perfect for Valentine’s Day and cute little cups are great! Jean this was a lovely post to read and such an inspired treat for valentines day. You are always so thoughtful that I truly love reading all your posts! And the chocolate cups are DEFINITELY going into my file to make in the future, I can think of so many variations and things to fill them with. 🙂 Thanks for sharing a bit of your heart with us! This is possibly the most touching blog post I’ve ever read, Jean. Just beautiful. Thanks so much for sharing, and lovely chocolate cups! I hope you had a wonder Valentine’s! Just Wow! From a health care providers view… you are just awesome on so many levels. Thanks for a great post and just lovely pics. I wish that I could have a blog that was so open and lovely and pretty as yours. Congrats! What beautiful and heartfelt sentiments to share for Valentine’s Day. The love you have within seems to express itself in your delicate chocolate cups and gorgeous photos! This is a beautiful post Jean — your stories were touching, this is what Valentine’s Day should be about. I loved your idea of the homemade chocolate cups and what they represented. Thank you for always being such a beautiful and inspiring person! I have been wanting to try this since the day I read the post on the top 9. finally got time in my hands and made them.. it was fun, exciting and something I enjoyed doing. I love the thought of serving different things in the edible chocolate cups.. cant wait to invite some one over and serve them this. Beautiful post. I just love when a blogger can be open, honest, tell a story and still focus on the delicious treats to be made. Excellent job! I love these!!!! I am throwing a pink and brown themed baby shower… definitely going to use these and put something in them for a light desert!!! 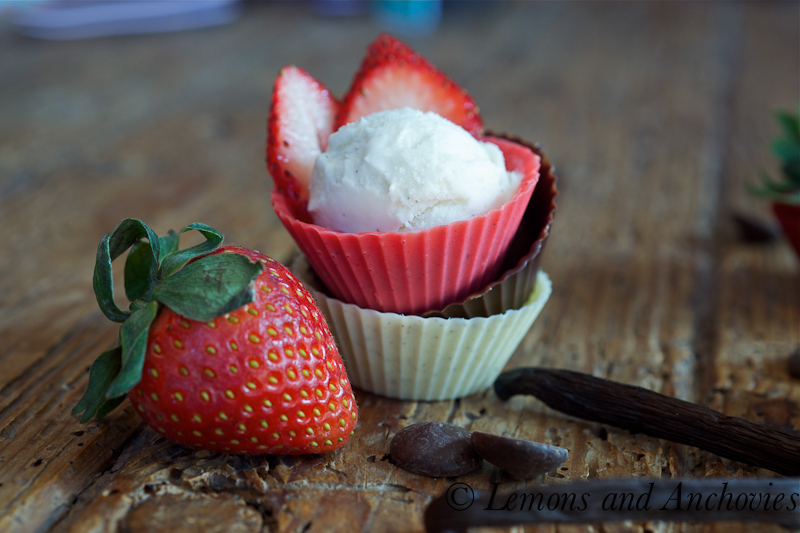 Jean, these chocolate cups are just beautiful and they could be used for so many occasions!